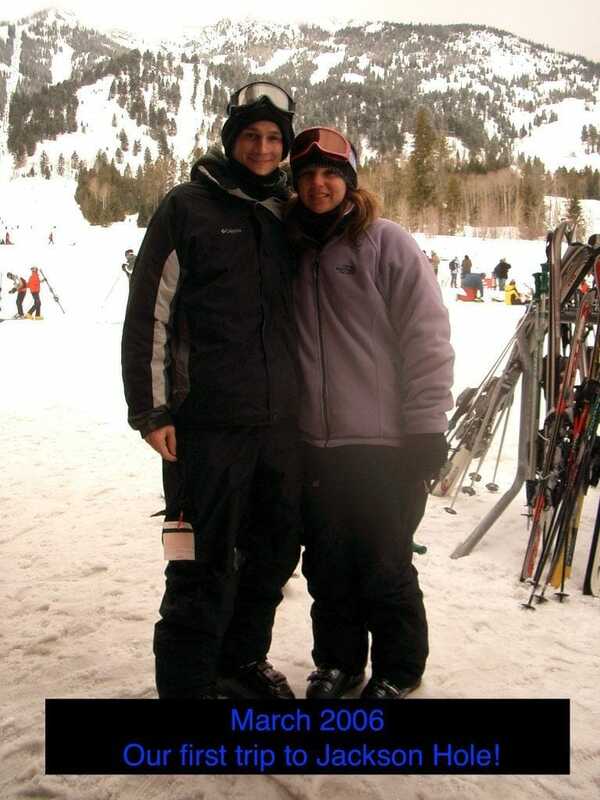 Our first trip to Jackson Hole was in 2006 and it was my (Lindsey) first time skiing in the west. Keith and I were completely blown away by this spectacular mountain. Every mountain since that trip has been compared to our time at Jackson Hole. 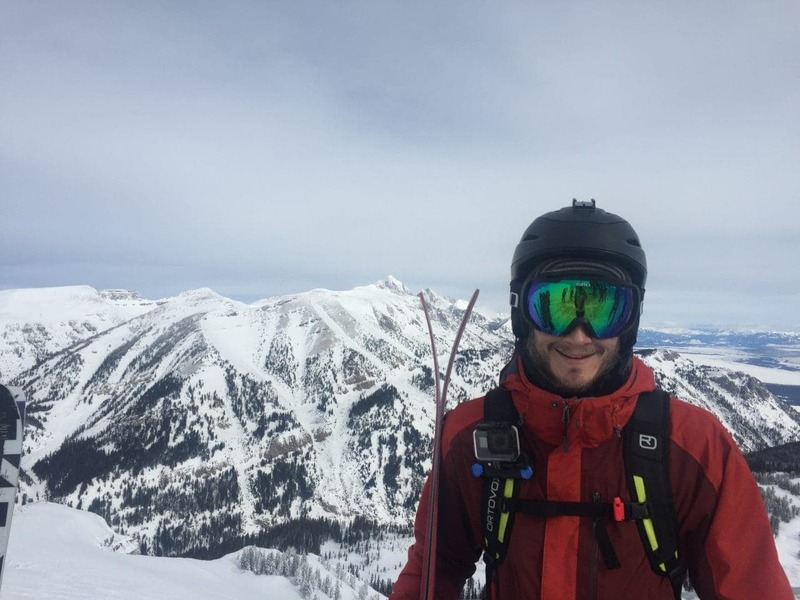 We were thrilled that Jackson Hole was part of our Mountain Collective Pass and that we’d have the opportunity to ski at our favorite mountain. The trip was planned months in advance and we knew it would probably be the highlight of the winter. The week of the trip was finally here and I began to not only get very excited, but also nervous. I was afraid the mountain wouldn’t live up to our expectations! We had such great memories and I was afraid that somehow this would be a let down for one or both of us. Once again I was looking for a great value and boy did I find it with Miller Park Lodge! It’s located on a quiet street just 2.5 blocks from the famous town square so it’s only a short walk to all the action. 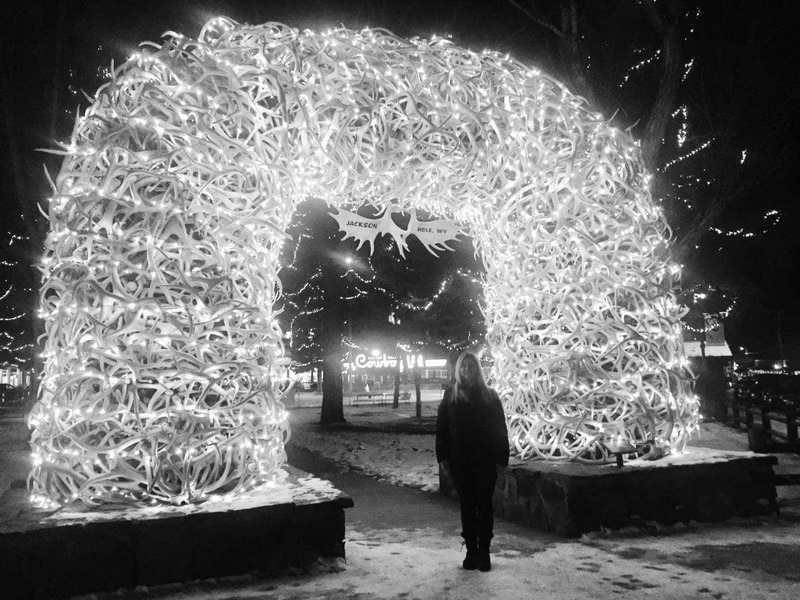 Plus it’s only about 15 miles from Jackson Hole Mountain Resort. The room was fantastic. 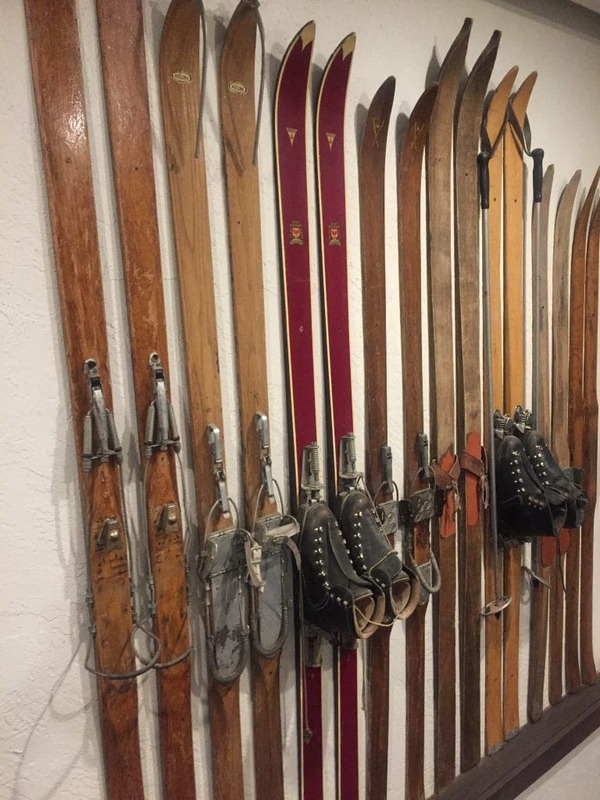 It was fairly large which was nice so we could lay out all the ski gear each night to dry. There was a microwave, mini fridge and coffee maker. After a long day of skiing, it’s always nice for a hot bath to relax your muscles and our room had a large jacuzzi tub with fireplace right in the room! Jackson and the surrounding area had been getting some snow and it was about five hours from our house so we needed to get on the road right away. We have learned that many of the mountain passes are not plowed after dark so luckily we were able to leave after Keith got done working around 2:30pm. The snow was rapidly accumulating as we arrived safely to the hotel. I made spaghetti in our thermal cooker so we ate dinner and decided to walk around town and grab a drink. It was Friday night after all! The Silver Dollar Bar was just the place to start the weekend. We were up bright and early and ready to hit the slopes. I had made a big batch of loaded scrambled eggs the day before so that we could have breakfast burritos each morning. We had the car packed with our gear and were looking forward to seeing if the mountain lived up to our memories. When we visited in 2006 they were getting ready to replace the tram. This was a big project that would take 2 years to complete! 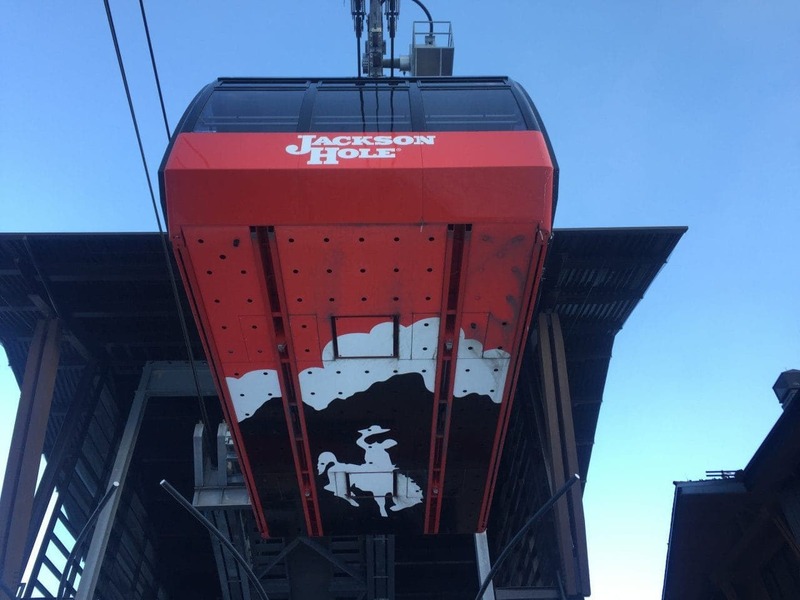 Check out the history of Jackson Hole Mountain. Immediately everything seemed familiar, but yet different. The one thing that remained the same was that this mountain is beyond impressive!! 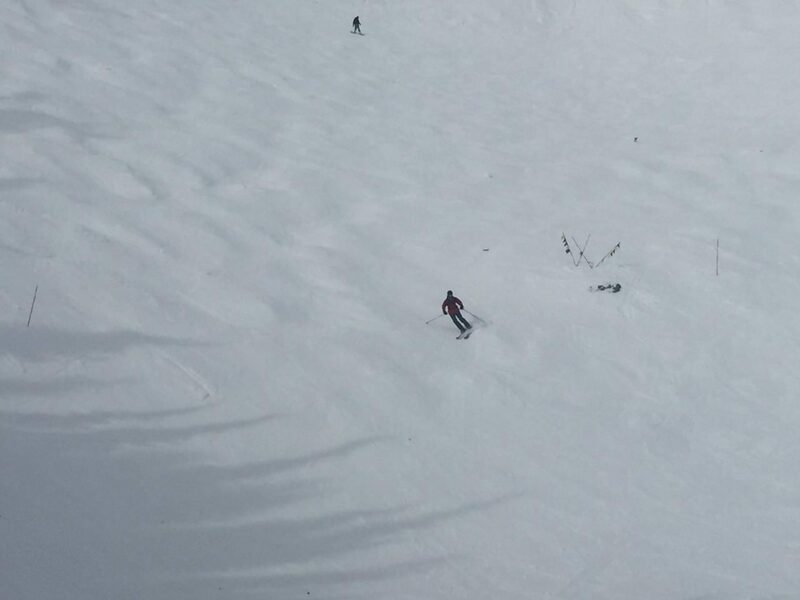 It didn’t take long for us to realize that we weren’t going to be let down, the skiing is absolutely amazing and likely to remain at the top of our list! It was a cloudy and windy day, there was fresh snow from the night before and snow showers popped up all day. Temperatures dipped below zero when we woke up, but warmed a little through the day. We weren’t use to the cold since we have had such a mild winter in Utah. The skiing was fantastic at the top of the mountain, but was a little icy towards the bottom where the snow had melted and refroze. Like I said, it met our high expectations and we loved every minute re-exploring the mountain! As we ended the day, we stayed in Teton Village. First, we grabbed a couple beers at the Mangy Moose Bar. Then, we walked around to check out the shops. 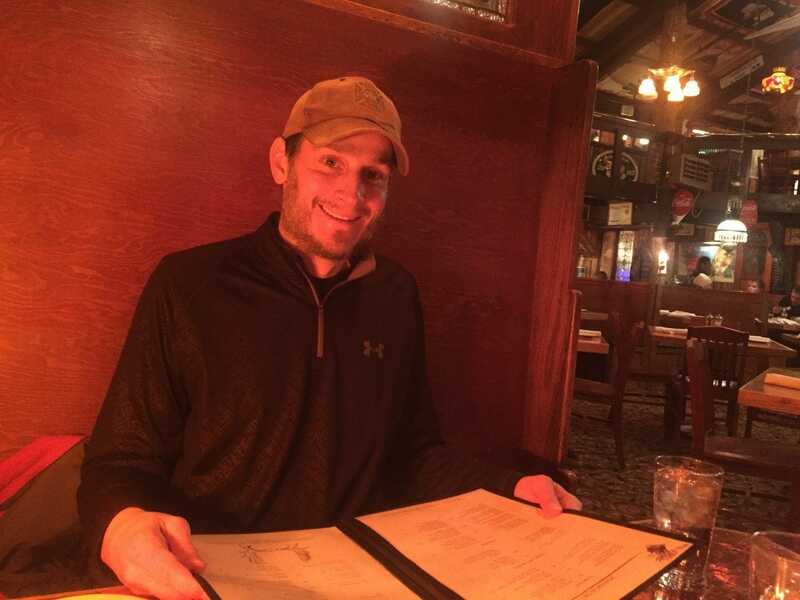 Next, we ended the night with dinner at the Mangy Moose Restaurant. We had eaten there on our last trip and again wanted to see if it was as good as we had remembered. See a pattern? I think we really were trying to relive our first trip! We woke up to bright sunny skies and were thrilled for another full day of skiing! We were actually so busy the day before we didn’t even make it up the tram! Since it was Sunday, it was less busy so we took a couple practice runs and headed up the tram. 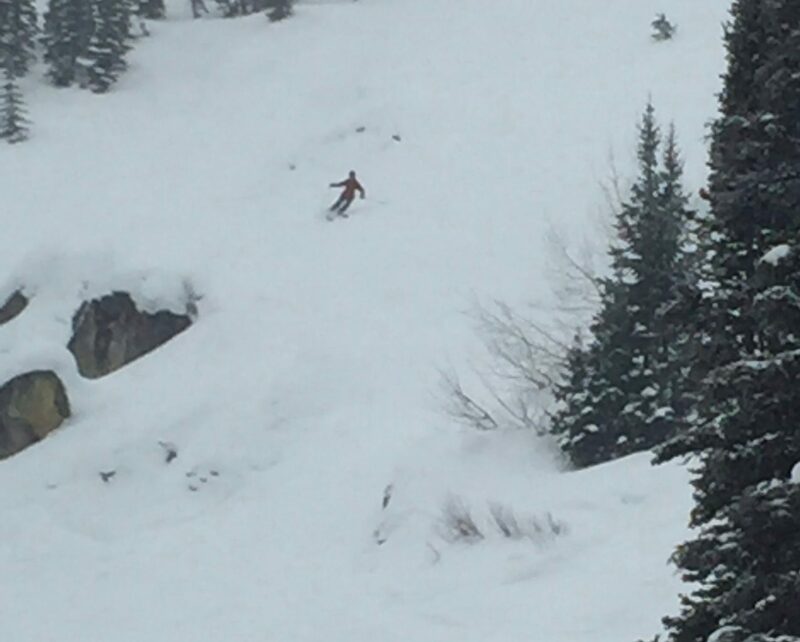 Skiing Rendezvous Bowl off the tram should not be taken lightly. This is an experts only and cliff areas are abundant so you really need to pay attention to the conditions and ski patrol. 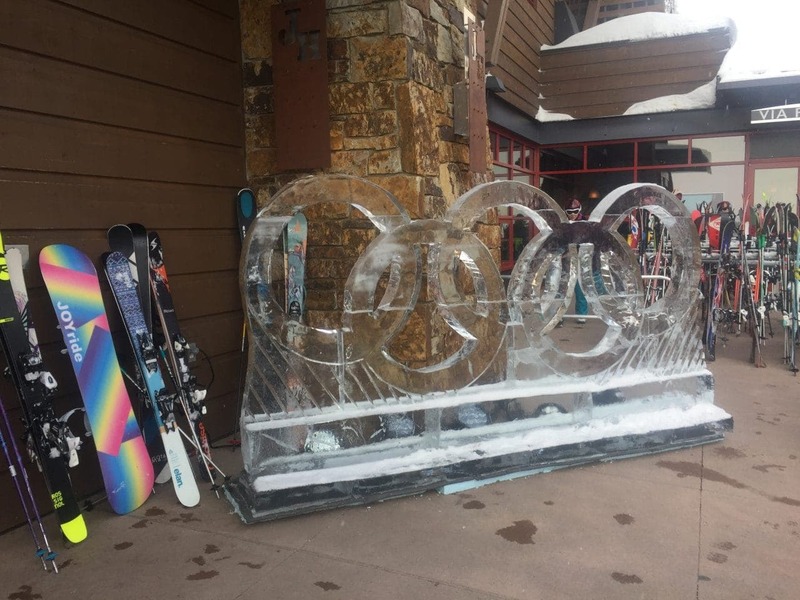 We wanted to start our day with the harder terrain because we knew that by mid-afternoon we would really be able to feel the soreness in our legs. As we arrived to the top, it was super cold with bright sunny skies. The view of the Tetons is amazing and we could see skiers hiking out into the backcountry. 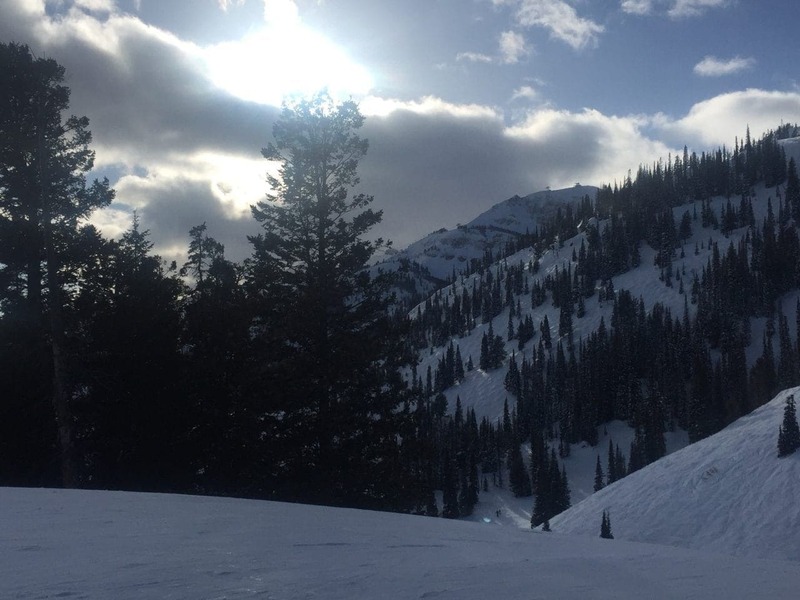 The conditions for Rendezvous Bowl were perfect! Any ice that had formed was softening and we felt like we had the whole mountain to ourselves. 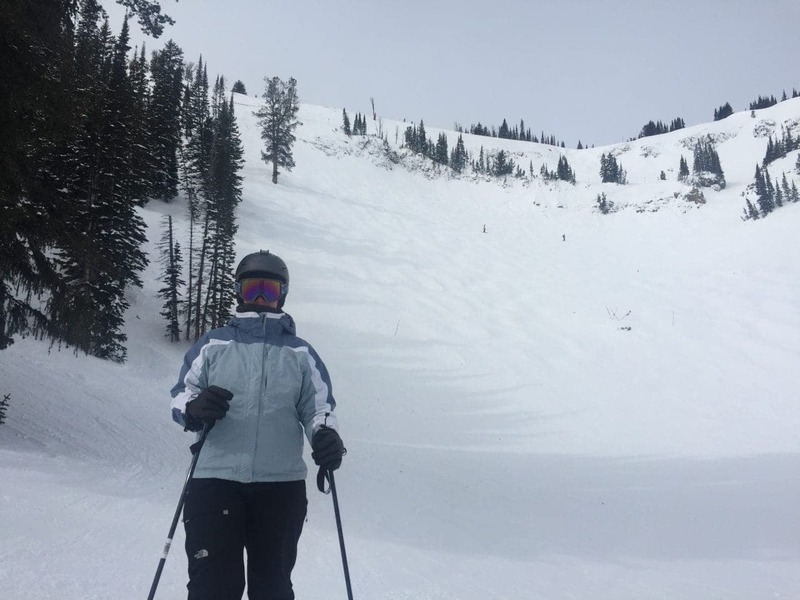 This is one of the many runs that makes Jackson Hole our favorite! Corbet’s Couloir is accessed from the tram. 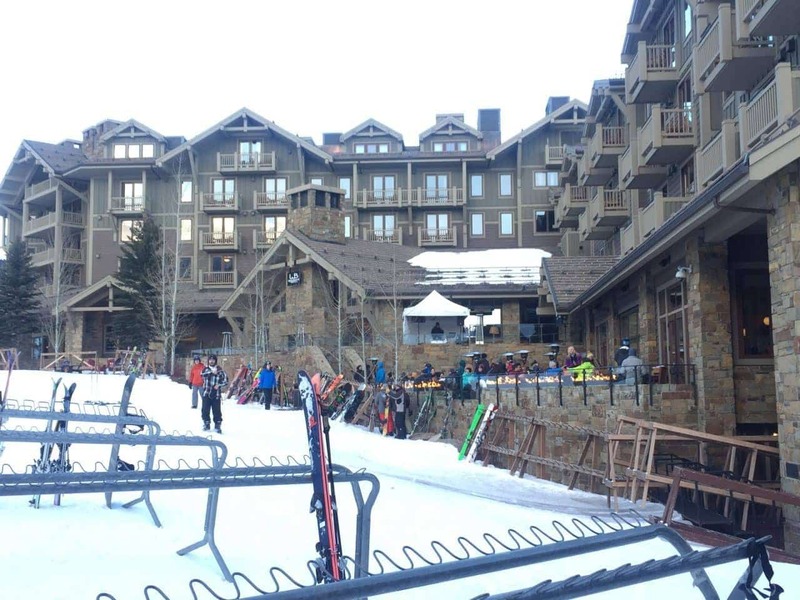 Corbet’s known internationally as America’s scariest ski slope because of it’s narrow 10-20 foot drop into the run. 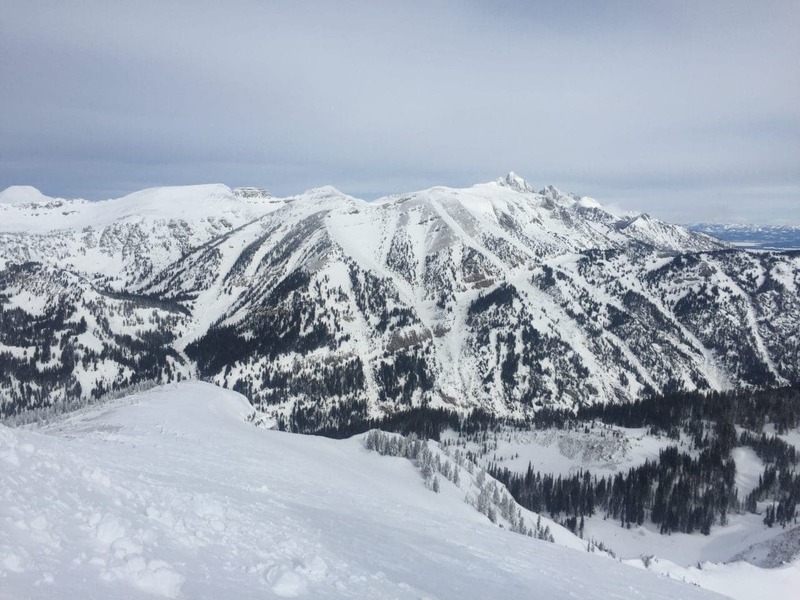 Even if you aren’t going to ski from the tram, I’d suggest riding to the top for the gorgeous views into Grand Teton National Park and a glimpse of Corbet’s Couloir. If you want to see some of the worlds best skiers, check out the video of the Kings and Queen’s of Corbet’s contest. It had been another fabulous day of skiing! As we headed back, we drove around Jackson a little to find a couple points of interest from our first trip. One was a liquor store we had stopped in and there was a door in the back that led to a very fancy restaurant. The walls were lined with fish aquariums and I believe we had surf and turf for dinner that night. We wanted to make sure that we didn’t just dream this! Sure enough, we found the liquor store. We didn’t go in, but according to google there is now a sports bar where the restaurant had been. After our drive down memory lane we headed back to the lodge to get cleaned up. Then, we walked around Jackson and stopped in a few shops. Many were closed or closing early since it was Sunday, but there was still plenty going on in town. Next, we ended up at Thai Me Up, which is a thai restaurant for the Melvin Brewery. Luckily we read in the google comments that the food can be pretty spicy otherwise we might have been quite surprised. Of course, Keith loved it! The flavors were really good, so the heat was tolerable for me. We really enjoy looking for restaurants with local beers and this is one not to be missed. Finally, we walked back to get a good night of sleep. It had been a busy weekend and we still had another day of skiing ahead of us. Keith and I woke up to some fresh snow falling and were ready to hit the slopes for our last few hours of skiing. 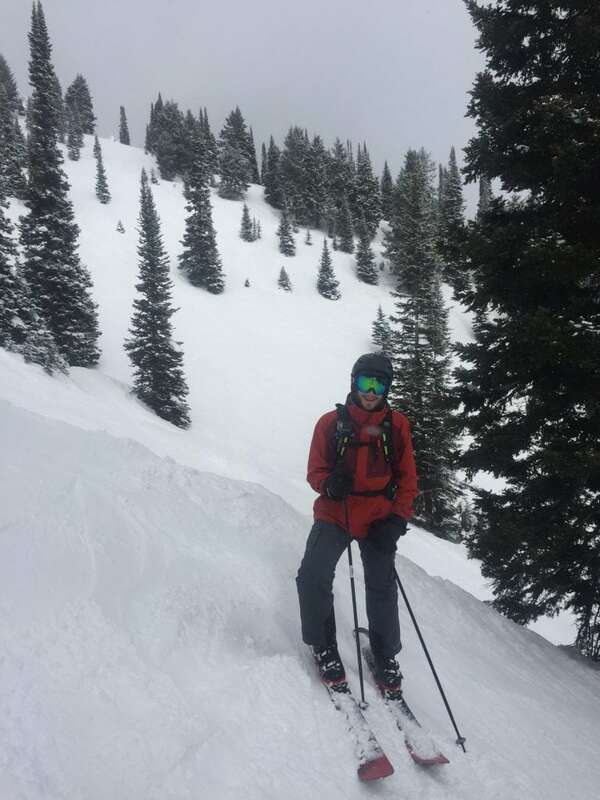 The snow was great, Keith was excited to find some fresh pockets of deep powder. We skied until about 1:00pm, grabbed a coffee and a snack, then hit the road for home. 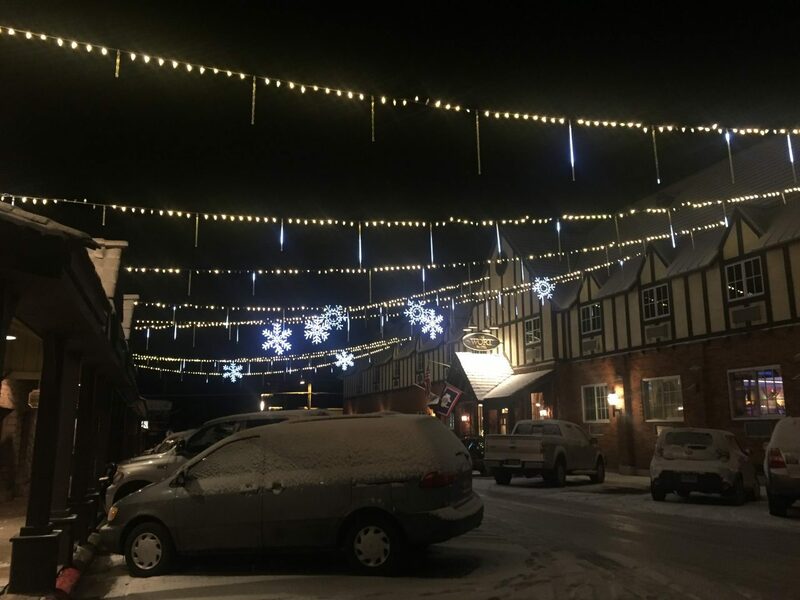 We chose to leave a little early and changed our route so that we’d be driving in the daylight to avoid hazardous road conditions caused by potential snowfall. Our drive home was smooth and we were so thankful for such a wonderful trip! There are many wildlife warning signs in the area; moose, elk, bear, deer, etc. We saw a moose in 2006, standing right along the road. It was awesome!! We were hoping to see another, but also worried since we were driving. No moose this trip. 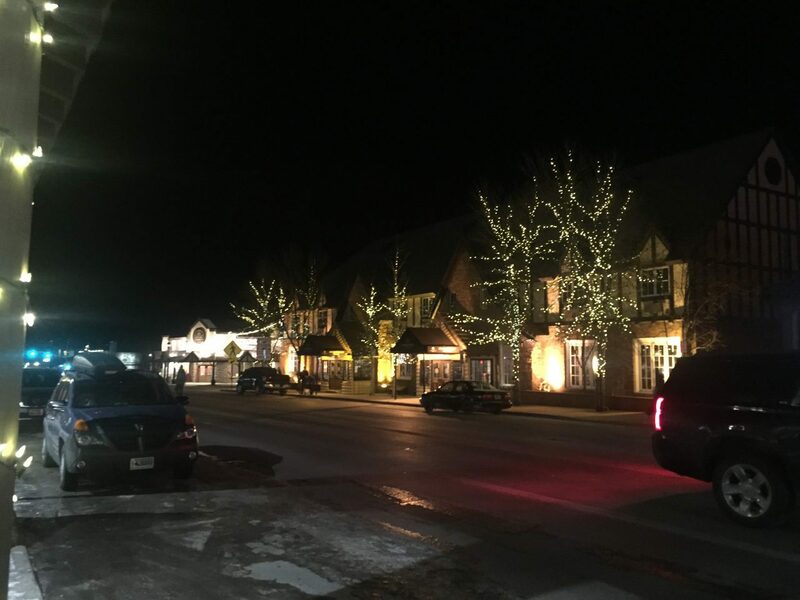 There is a small front parking lot in Teton Village. It will cost $20-$30, depending on length of stay. The Ranch Lot is further out and runs a bus service every 10 minutes. It costs $10 or is free for 3 or more people. We parked in the front lot on Saturday since we would be going to the car to put away our gear before staying in Teton Village for the evening. We parked in the Ranch Lot the other two days. There is also bus service from Jackson, we did this one our first trip when we didn’t have a vehicle with us. 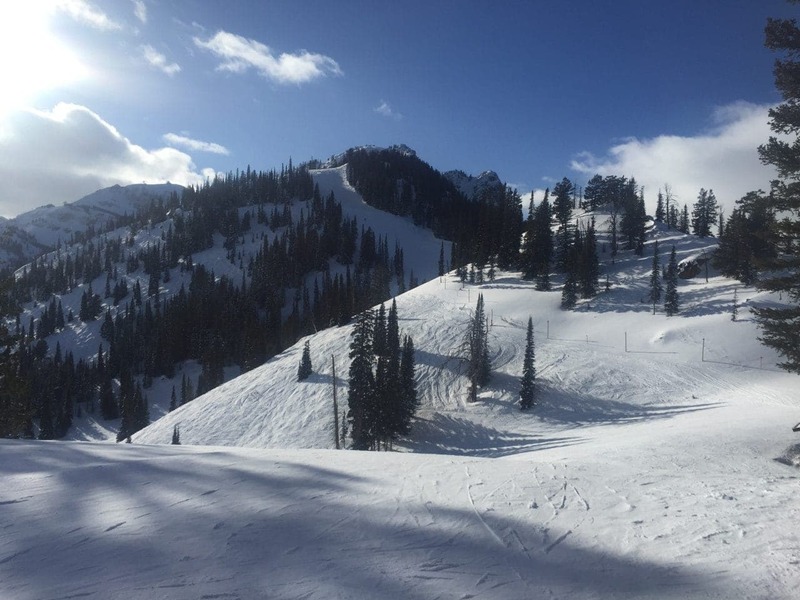 *Ski Hobacks, this is a large wide open area that is known for powder days. The Hobacks were not open either trip and this is something Keith has wanted to do since our first visit.